Whether you're a seasoned nail polish addict or you're just a fan of going to the salon for some self care, it's not always easy to get the perfect manicure. Today's post is all about what you'll need at home to pamper your hands and nails. 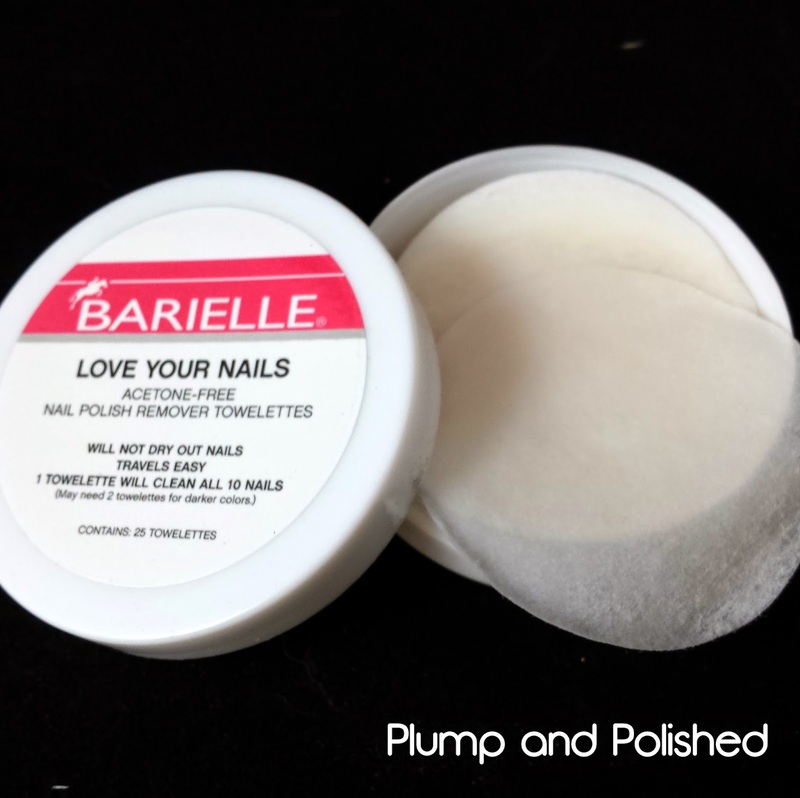 Barielle recently contacted me to compile of list of items that I would use for my perfect manicure. I have a quick run down for all the products, some nail art, and a giveaway to share so don't miss out! 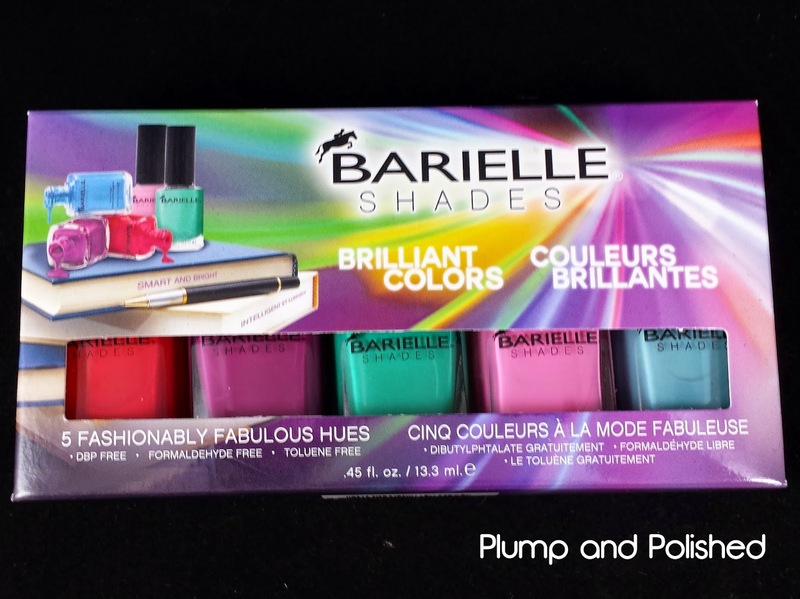 I'll be sharing the products I picked out for my Perfect Barielle Manicure in order that I use them. I was going to take pictures of my hands alone the way, but there wasn't much to show. I thought it was silly to show you a picture of my hand with the scrub or cuticle remover on them. Sorry! No nudes in this post. 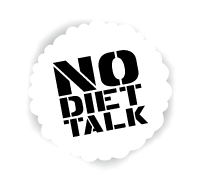 I've actually been using these products for the past month and they all have my seal of approval! 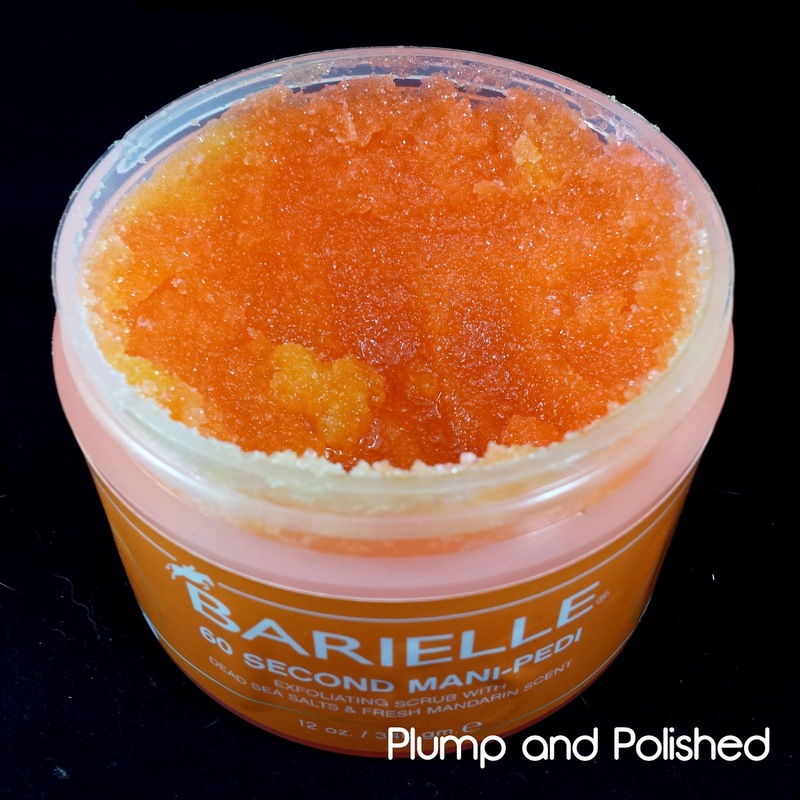 This scrub smells great and has dead sea salt that's perfect for scrubbing away dead skin to reveal smooth hands. As you can see, I've been using this a lot. Every few days, I would use it after washing my hands. It leaves behind a nice mandarin scented oil that hydrates and sinks in quickly. The scrubbiness is also great to remove stubborn glitter from your hands! I'm often asked how my cuticles look so good. Cuticle remover is a must for me. I apply the gel to my cuticles, let it sit for a minute or two, and then push them back. I usually use a pusher with the tip wrapped in a bit of cotton or I'll just use my thumb nail. Never cut your cuticles! It leaves them raggedy and prone to infection. That skin is blocking bacteria was entering your cuticles! After this, wash your hands. My other secret to nice cuticles is oil. Cuticle oil helps soften and moisturize. I apply it several times a day, but like to have a good soak at least once a week. Apply this liberally and let it soak in for ten minutes. Give it a good rub! Prepping your nail plate is extremely important. You want to clean up all that oil that's on your nails. It'll make your polish last a lot longer and not peel off. I like these towelettes because they're lint free and one really does work for all ten nails. If you're removing a darker color, you might need two. This protein base coat is great. I've been using it for awhile and have had good results. My nails are stronger and my polish isn't staining my nails. After letting this dry, you'd add the polish! After you apply your polish, you need to seal it with a good top coat. I prefer a quick dry top coat. This one dried decently and has a great shine. I'm not going to post the oil again, but I would apply more oil after my polish is nearly dry. You can never moisturize too much! These polishes are perfect for nail art since they're highly pigmented. I used a coat of purple to start off and then added some lines to create a plaid look. I've never tried this before so I was really pleased with the outcome. What do you think? 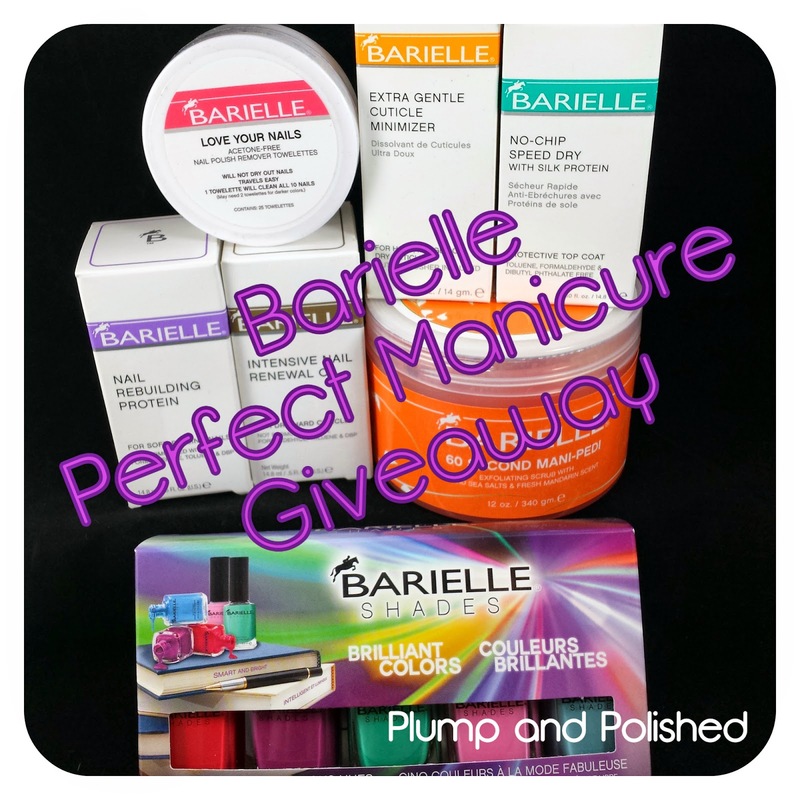 Do you want to win the Perfect Manicure from Barielle? Don't forget to enter through the Rafflecopter widget! One winner will receive all the items shown below! This giveaway ends on September 5, 2014. This giveaway is only open to US residents or those who have a US shipping address. 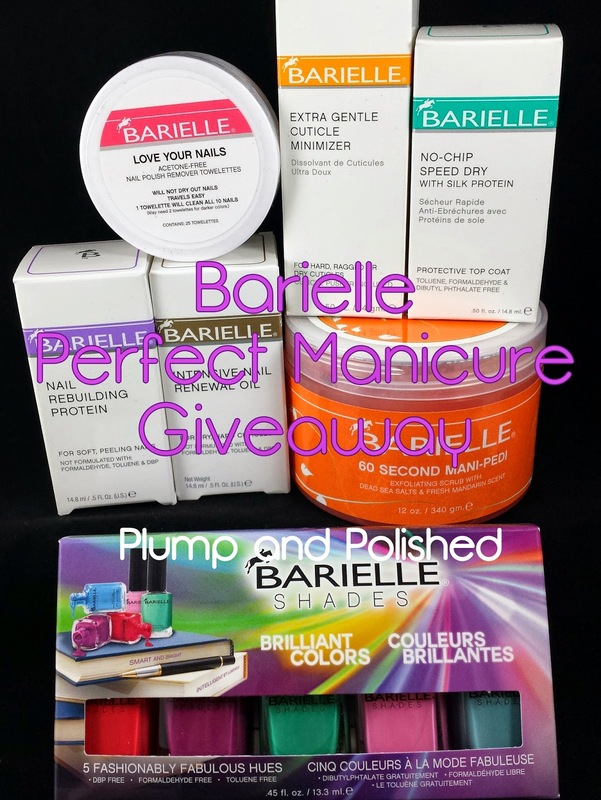 Items for the giveaway were provided and sponsored by Barielle. I'm the same way. I want to try everything at least once! To be honest I cant decide :) I definitely wanna try the polishes first but its a toss up between the 60 second medi-pedi and the cuticle minimizer. I just wanna try it all! Heee Heee =D Oh and I absolutely, positively, totally love, love LOVE your mani!!! 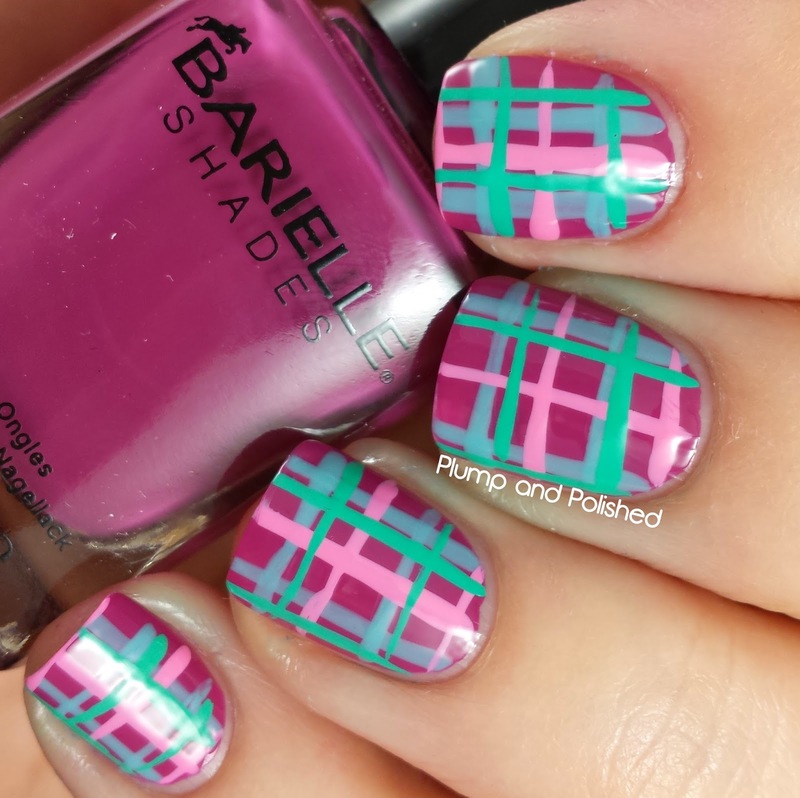 I've been wanting to do a plaid mani, never done it before and absolutely nervous about doing it because I just know I'll screw it up! Especially on my right hand. hee hee :) Thank You for the Giveaway!! I am looking for a new top coat, I'm not happy with my current. Thanks! Those are my two favorite products in the post! And don't be nervous! If it goes wrong, you can always remove it. If you don't want to take on the big task of doing all your nails, try it as an accent first. You could always do your right hand solid colors and alternate them. There's no rule that says they have to be the same! My cuticles are my issue. They always look rough and ragged :(. Would love to try the cuticle minimizer and oil! I am going to try this 60 second mani-pedi. I hands and feet are wrecked from the garden this summer. Seche Vite. Love how fast it is and it is super shiny for a day. Then it gets a little dull and the tip wear is just a little more than I can tolerate. I love the looks of that mandarin scrub! Thanks for the sweet giveaway! I'd love to try the entire system, but my weakness is the color. Always the color! Im excited to try the cuticle minimizer and of course the nail polish! Ugh. Shrinkage! Some Seche Restore might help it bounce back. My go to top coat is Rica Glossy Glam. Of course you want the polish. haha! Try it again. I'm not sure why it's not working for you. You need that scrub! I love it for removing glitter. They would make such a big difference for you! 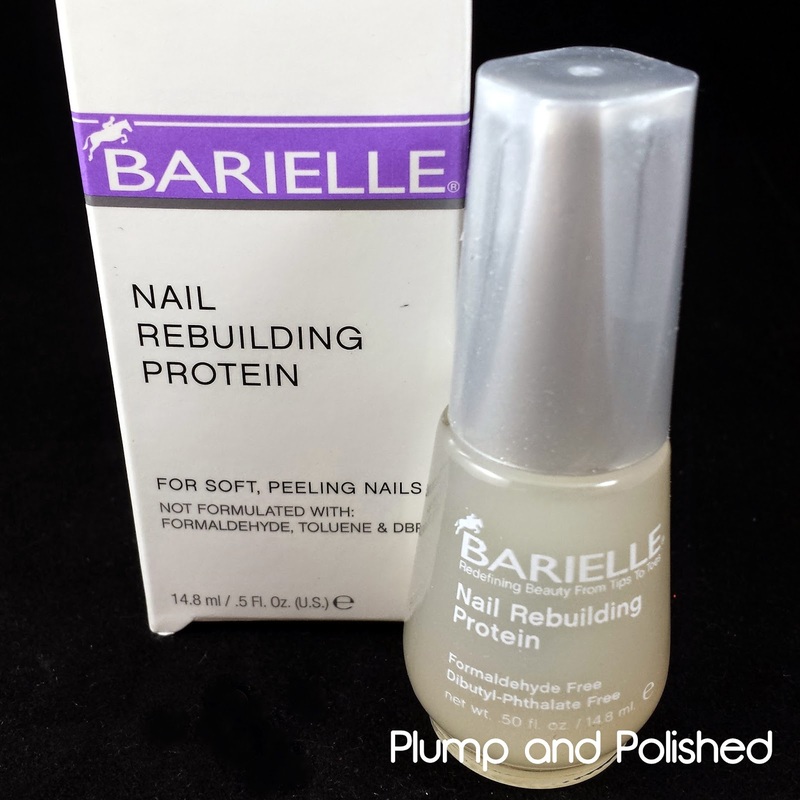 I'm excited to try the polish and the nail rebuilding protein! Obviously love the polish but also really interested in the 60 second mani-pedi! Ah, the scrub. It's so so good. I would love to try the 60 second mani scrub. I want to try the intensive cuticle oil. I have been seriously neglecting my nails and this sounds like it will clear up this hazard I have going over here. LOL! Thanks for sharing this giveaway! That seems to be the favorite! Ooooh, the Nail Rebuilding Protein sounds amazing to try! Thanks for the chance!! I cannot decide which I need or would love more. It's definitely a toss up between the Nail Renewal Oil and the Protein Basecoat! My cuticles stay so hard so I think the oil would do wonders and the Basecoat would definitely help the peeling that I cannot seem to get rid of! Thanks for hosting this giveaway! Someone is going to have some awesome hands and nails!! The oil would do wonders for you! Plus, the scrub would help a lot, too. Good luck! I love to pamper myself with nice manicure stuff, but I also really love those polish colors! I really want to try the purple polish. I love your plaid nails and I'm totally giving that a shot soon! i need to try that scrub! 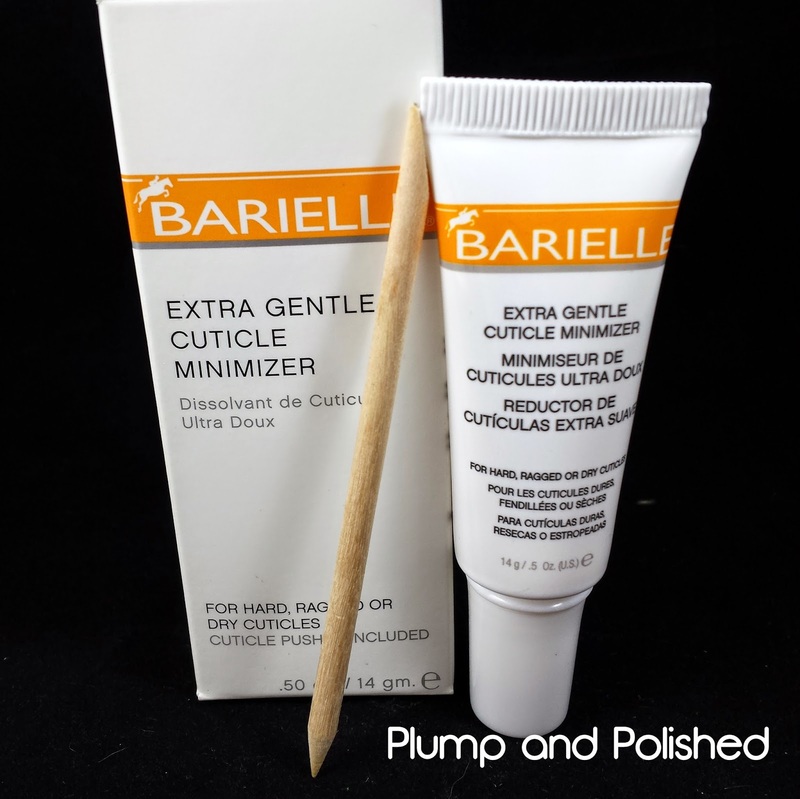 The cuticle minimizer is great! It works well, but is really gentle. 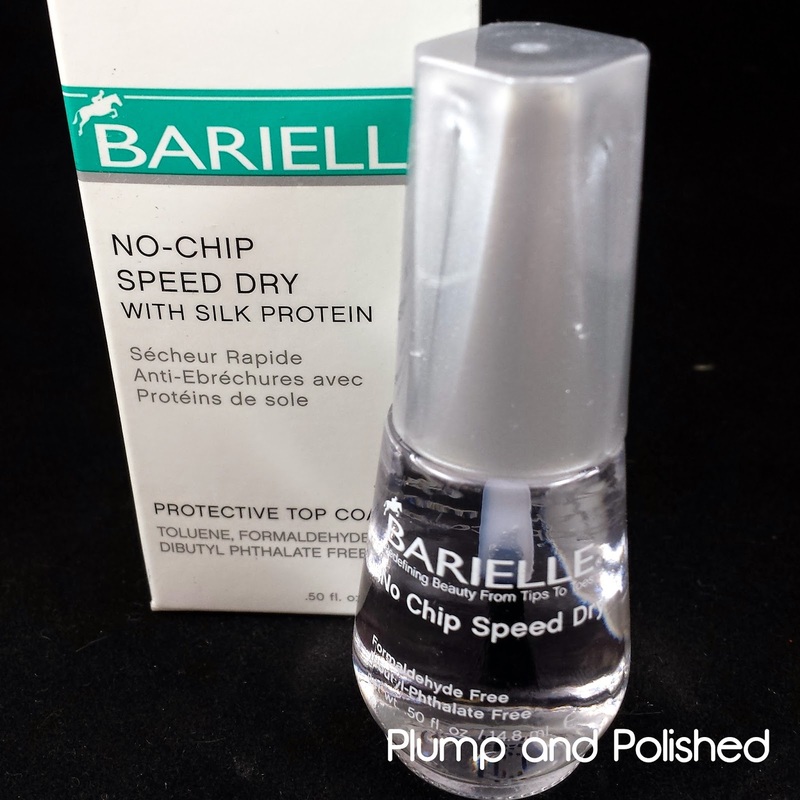 I would love to dry the no chip speed dry top coat! My rafflecopter name is Ashley Nicks. Thanx! I want to try the Nail Rebuilding Protein. I wanna try that scrub!!! Ack! I want to try all the products! I guess mostly the cuticle remover, remover pads and the top coat. 60 Second Mani-Pedi sounds awesome! I know I'll adore the scent as well! I'd like to try the renewal oil! I really like the nail art look you came up with- I may try it in the future! Thank you! If you try it, let me know so I can share it on my Facebook! You're welcome! I have very pale skin, too. I love fall because I feel like deep rich colors look best on me. Without the essentials, you won't get very far. They're all important! I got a pretty decent wear time with it. 4 days isn't too shabby! Do you have weak or peeling nails, too? I wish I could wear red. Most them of them give me the dreaded lobster hands and make me look super pink. I hope you have a great day, too! Sorry, I Wasn't Done and I Accidentally Hit Enter! I was Saying I Look Best in True Red, Emerald or Hunter Green, & Dark Purple! I Do Not Look Good in the Pastel Shades of these Colors; Pastels Make me Look Sickly! I Look Better in Jewel Tones! My Sister on the Other Hand is So Dark & She Gets to Wear All My Favorite Colors like Neons & Fluorescents! This one is super moisturizing. You'll love it! I Love Black; It Goes with Everything & Makes me Look a Little Skinnier! I Can't Wait for Fall b/c it's My Favorite Time of Year! I am One of the Very Few People who Hates the Heat; I Like Cool Weather and I Love Autumn & Winter! I Would Rather be Cold than Hot Any Day, I Can Not Sleep Without My Fan On, Plus I Have Gotten So Use to the Sound it Makes that I Can Not Sleep Without it Now! I Like Fall Clothes Better Too; I Love Chunky Sweaters! I Hate Shorts and I Even Hated Wearing them when I Was Skinny; I Like Jeans, Leggings, Skirts, & Capris but I Hate Shorts! My Legs are Way Too White for that and Even When I Use to go to the Tanning Bed I Still Would Not Get Very Dark, No Matter How Much I Would Go! I have Just Learned to Live with Fair Skin, Plus I Do Not Want to Get Skin Cancer, No More tanning for me! Have a Good Evening! 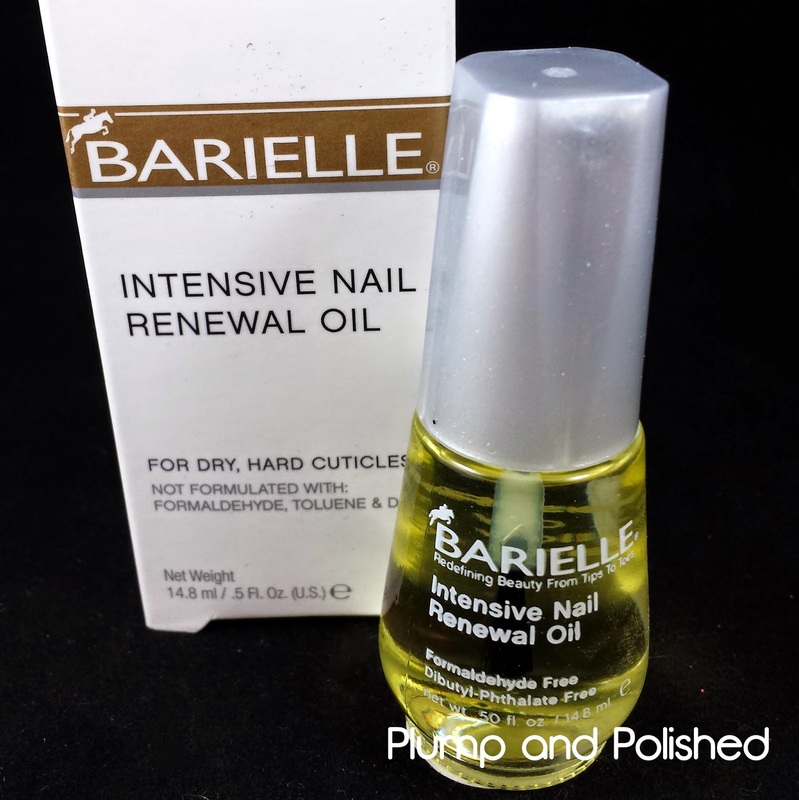 I'd like to try the intensive nail oil too, I have really mixed results with Nail Envy and Nail Tek and the like, but great results with oils as far as stronger, longer nails. Thanks for the giveaway! I would love to try the nail renewal oil. I recently got a teaching job and putting my class together etc has really done it's toll on my poor nails and cuticles! 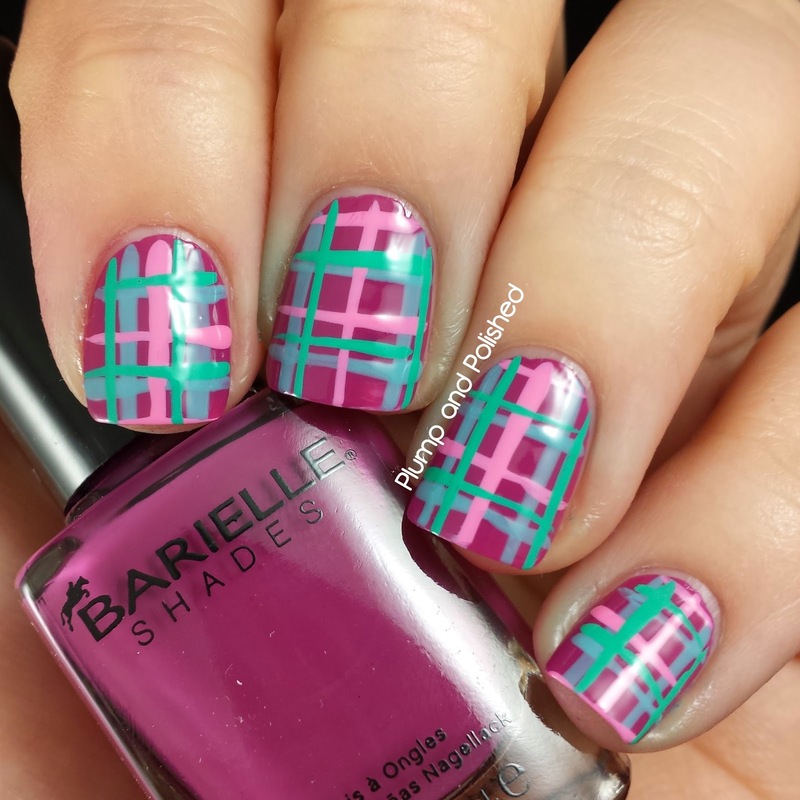 I Think you Did an Amazing Job Using the Barielle Nail Lacquer! My Hand would be Just Shaking All Over the Place! It's Perfect for Spring or Summer and the Purple is Good for Fall & the Red for Winter! Very Nice! Oh, no! I can imagine. My hands get really dry at work so oil is a must. Personally, Duri Rejuvacote is my favorite base. It worked wonders for me when I nothing else could. I am Excited for the Giveaway, that's a lot of Great Stuff! Good Luck Everyone! 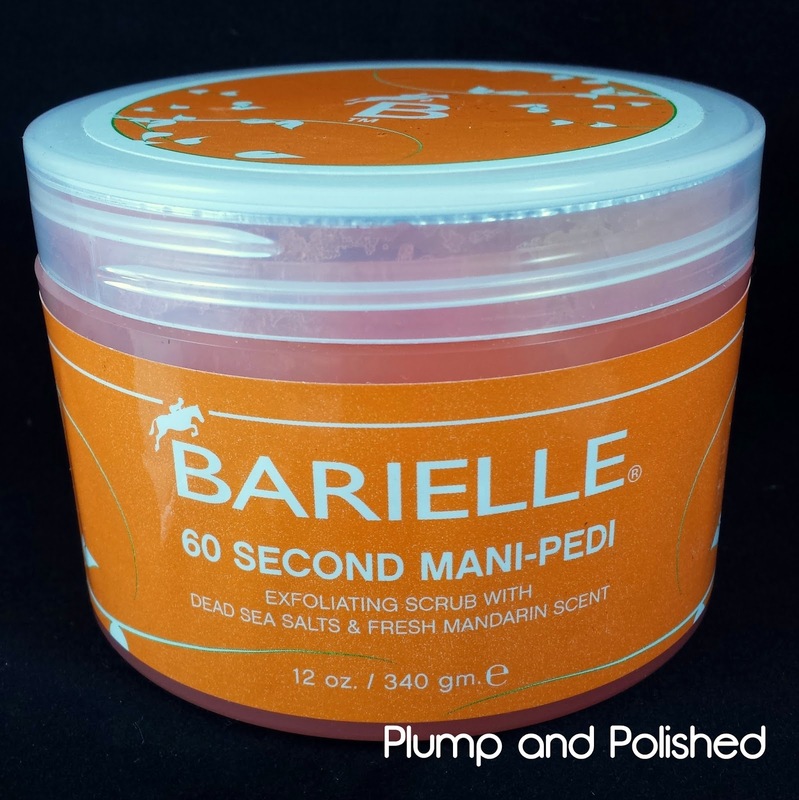 60 second mani-pedi looks amazing. You did such an Awesome Job its gorgeous! I would love to try the scrub. I'm on a scrub kick lately. I love trying new basecoats! I want to try the base coat! The polishes! I love those colors!! The nail polish so I recreate your look!! !